March was unseasonably hot and dry here in BC which sparked the sun cream sales, and along with that lots of questions. 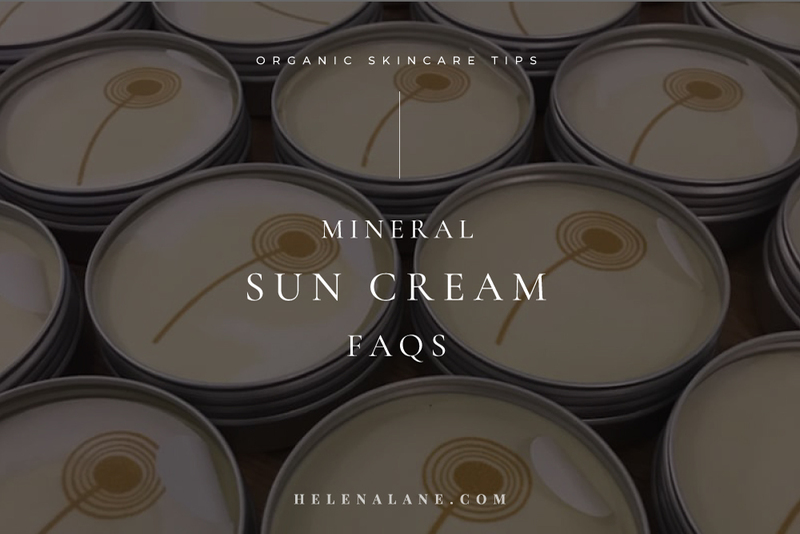 Here are the most frequently asked questions about my organic sun creams. 1. What SPF are they equivalent to? My sun creams are not (yet) tested by Health Canada for an official SPF rating. The amount of zinc I use combined with the natural filters of the base ingredients could give an SPF rating of about 30. BUT everyone’s skin is different and we recommend you reapply regularly when out in the sun until you know how the product and your skin react in the sun. 2. Can the sun creams be used on the face? Absolutely! They are safe for the whole body. 3. Can the sun creams be used as a daily moisturizer? Yes! Once the sun becomes a regular fixture, I use the sun cream as my daily moisturizer. It makes a great make-up base too. I am careful to reapply if I will be in the sun later in the day. 4. Do the sun creams leave a white residue? No. I worked very very hard on this and although it may appear white when first applied, it disappears when rubbed into the skin. 5. Is it thick and sticky? No. This is another aspect I worked really hard on. It absorbs quickly as easily and although oily at first will disappear to a matte finish on the skin. 6. Is it safe for very sensitive skin? Absolutely. The chemicals added to provide sun protection in non-mineral sun creams are highly irritating to the skin, whereas zinc oxide is actually calming and anti-inflammatory. The base ingredients are all soothing and nourishing too. I have many happy customers with highly sensitive and reactive skin. 7. How often do I need to reapply it? 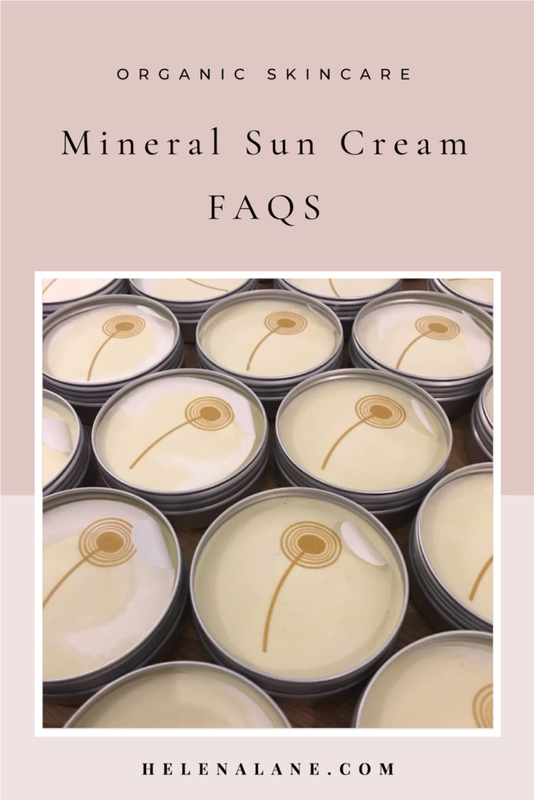 This will depend on your skin type, how strong the sun is, and how much sun your skin has already been exposed to, but I suggest starting with reapplying every 30-40 minutes when in the sun fully and being aware of how your skin is doing. 8. What is the shelf life of the sun creams? We recommend all products are used within a year, however if it smells the same as when you bought it, it is safe to use. As the active UV blocking ingredient is the mineral zinc oxide it will not lose its effectiveness over time (unlike chemical sun screens). 9. Are they safe during pregnancy and on babies? The sun creams are safe during pregnancy and on babies over 6 months of age. I am not allowed to recommend anything for babies under 6 months of age unless specific testing has been done. However, I can say that I used the Chamomile & Calendula Sun Cream on my children when they were small babies. 10. What’s the difference between the two formulas? difference is the Lemongrass & Lavender has the addition of the essential oils of lavender and lemongrass. I added these not only to smell great (there is something so wonderful about lemongrass) but as a mild insect repellent too. 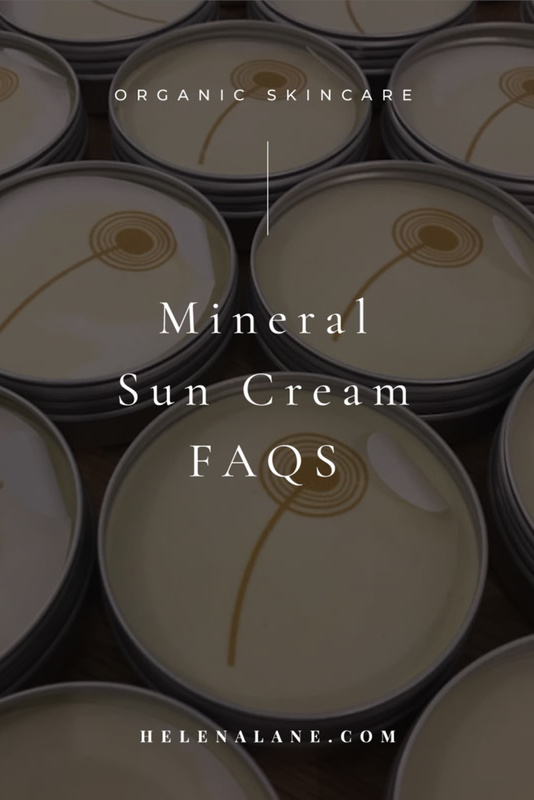 Do you have any other questions about the sun creams? Ask away!